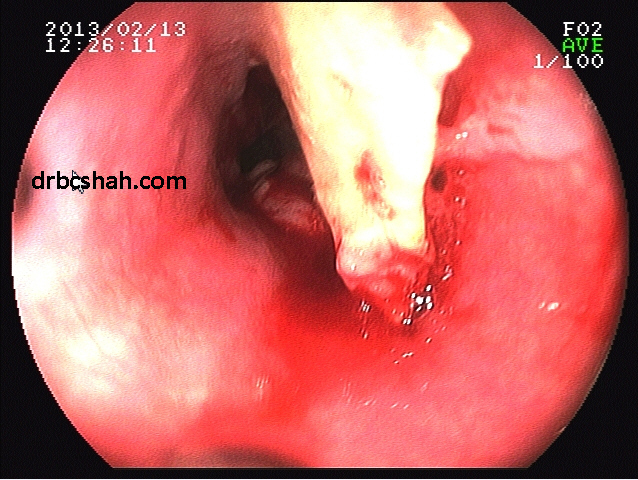 Avinash Tahkur, a 45 year male patient resident of Palghar came to me with pain in chest and difficulty in swallowing (dysphagia) since one month. He took treatment form local doctors but with no relief. It was extremely difficult for him to swallow and he would take only liquids. If he would eat solids he would get excruciating pain in chest and would immediately throw out the food. Both he and his wife appeared quiet nervous. They felt it was cancer and his days were numbered. I told him that it would be very difficult for me to draw any conclusions and give him treatment unless endoscopywas done. I took him to the endoscopy room. He was made to lay down on his left. I sprayed local anesthesia in his mouth and throat. I inserted a Japanese make upper GI flexible videoscope into his food pipe. The culprit was found. 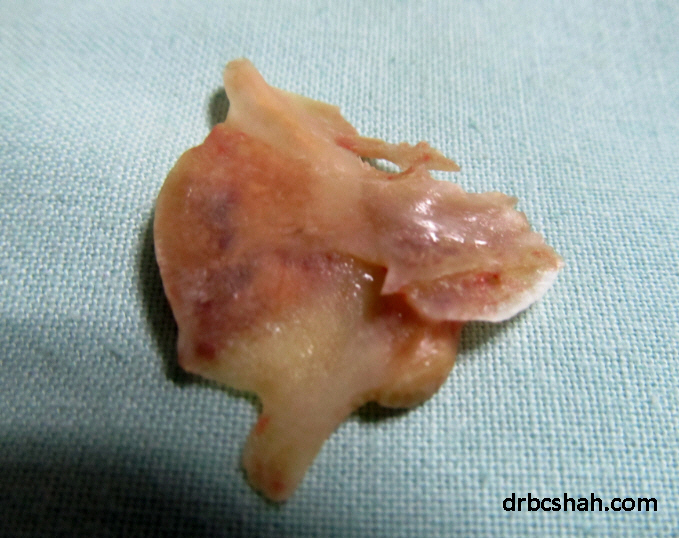 There was a large fish bone impacted in his upper part of food pipe. 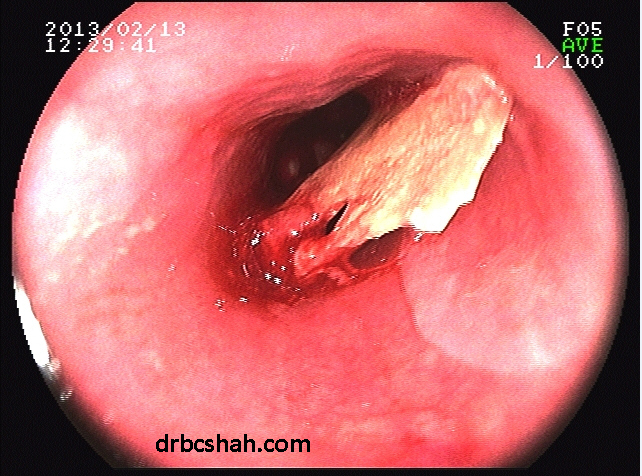 It was impacted since one month and had created ulcers on opposite walls of the food pipe. Using the operating channel of the videoscope, I inserted a Dormia basket. Dormia basket is a tiny apparatus consisting of four wires. In resting position they are close. When opened within the body, it opens up and forms like a cage. I manipulated the dormia basket and trapped the fish bone. I gradually withdrew it from the food pipe without causing any injury to his food pipe. Patient was relived instantaneously. His chest pain reduced and he could swallow water. He went home immediately with some simple medication and followed up in evening His wife was so relieved and thanked me. Her husband could now eat food. 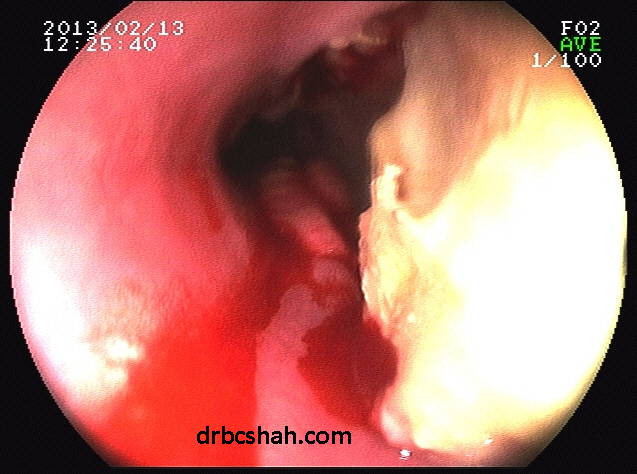 I had also take a biopsy of the ulcer just to be 100% sure that it was not cancer. Such procedure are difficult. While one is doing these kind of procedure one has to be very careful that he does not cause and injury to the food pipe while dis-impacting and removing the foreign body. Even a slightest error can land up the patient for a major surgery. All such procedures are possible if there are good equipments & perfect skills available. In this case what had happened was that patient had accidentally swallowed a large piece of fish bone but not realized it. 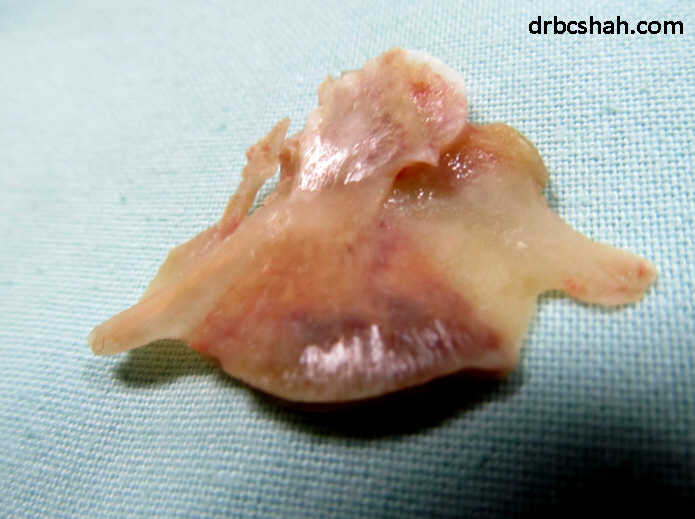 I have removed dozens of bones by using endoscopes. Often patient is unaware of it. Many times I have removed dentures. They are also quiet difficult. i have removed many coins, toy pieces, & even safety pins in children. So far by God’s grace it has always been successful At times it takes longer time and i have to be extremely cool. The patient is constantly breathing and at times moves just at the critical time. The foreign bodies are also many times very difficult to grip. Coins are slippery, bones are sharp and one is worried about injuring the organ while removing. 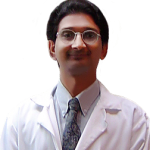 I prefer general anesthesia for children as its very difficult to get co-operation. Also general anesthesia relaxes the sphincters and its easy to pull out foreign bodies. In children general anesthesia protects the airway and reduces the chance of the foreign body accidentally going into the food pipe while removing it.